It's crazy to think that last summer brought the tragic news that James Gandolfini had passed away. The actor appeared in last year's charming comedy Enough Said, and this year will mark his final feature film performance in The Drop. 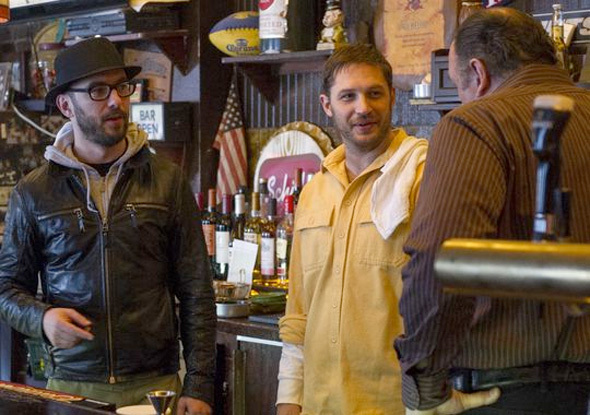 Formerly known as Animal Rescue, the film follows an unassuming New York bartender (Tom Hardy) whose life is thrown asunder upon discovering a wounded dog and getting caught up in the middle of a criminal conspiracy unfolding in his mob-controlled bar. 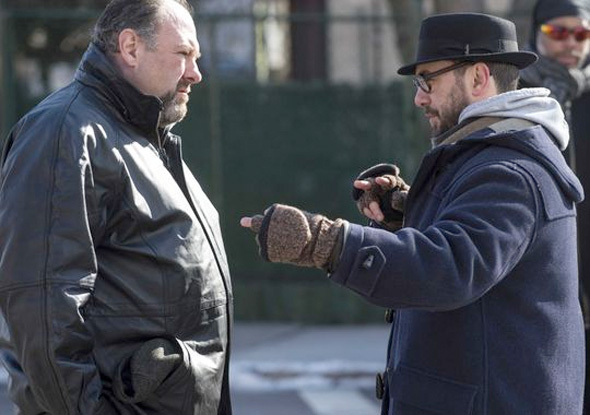 Now we have some first look photos from the film with Gandolfini and Hardy, and a couple shots with director Michaël R. Roskam. 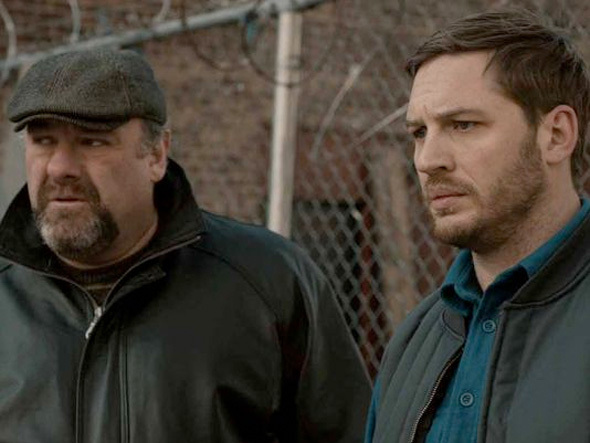 The Drop (formerly Animal Rescue) is directed by Michaël R. Roskam and written by Dennis Lehane (based on his short story of the same name). 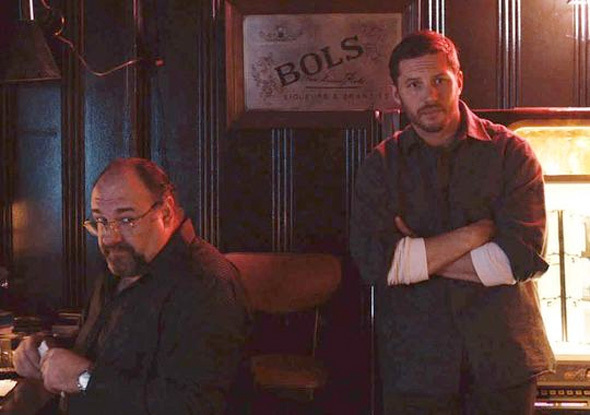 The story focuses on Bob Saginowski (Tom Hardy), a former criminal trying to straighten out his life as the bartender along with his cousin Merv (James Gandolfini) at a place that also serves as a money drop for local gangsters. Bob's attempt at a normal life with a rescued pit bull puppy and his girlfriend (Noomi Rapace) falls apart when he finds himself in the center of a robbery gone wrong, committed by a thug (Matthias Schoenaerts). Fox Searchlight releases the film on September 19th. 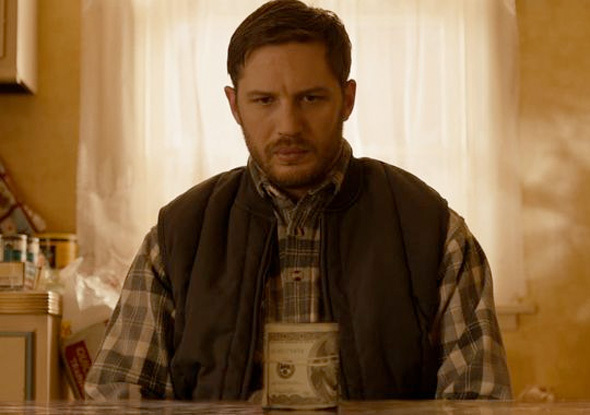 Hardy's "Every man" look is sweet.